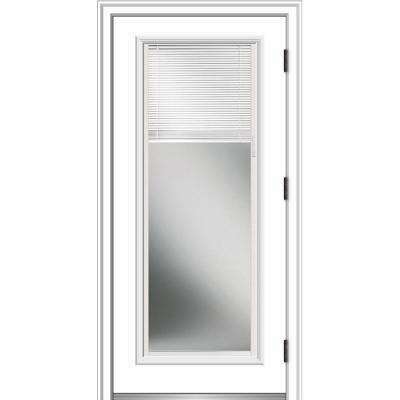 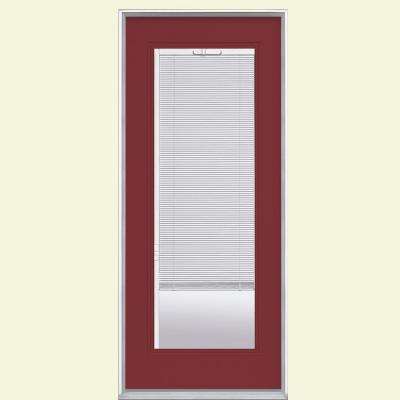 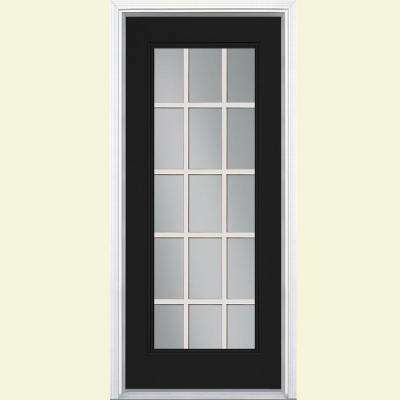 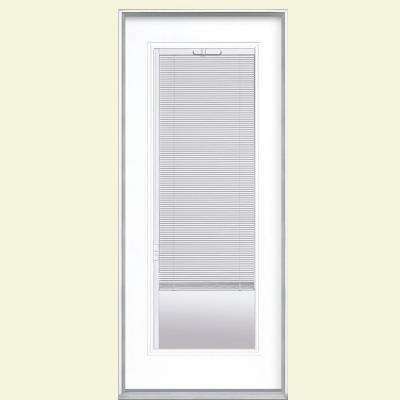 JELD-WEN " 36 in. 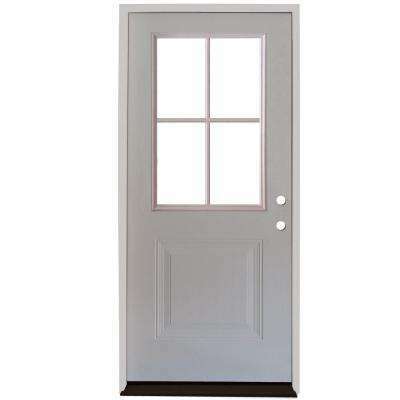 x 80 in. 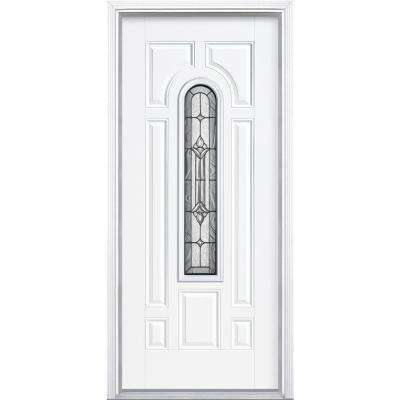 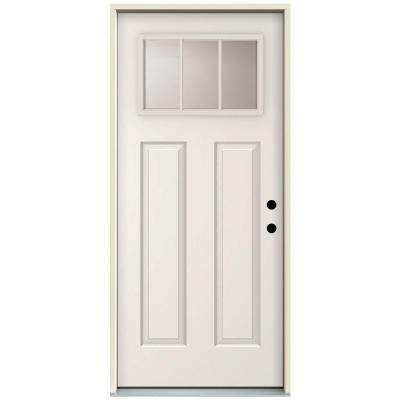 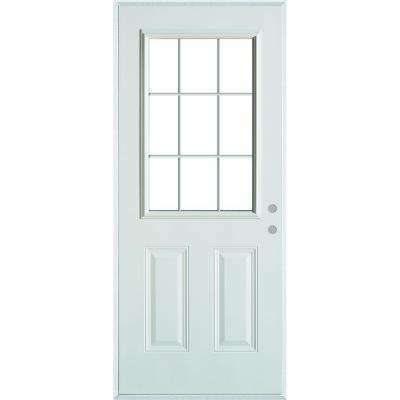 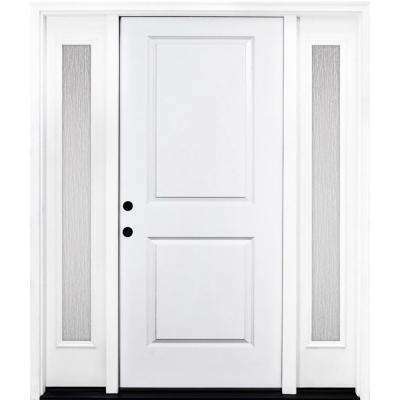 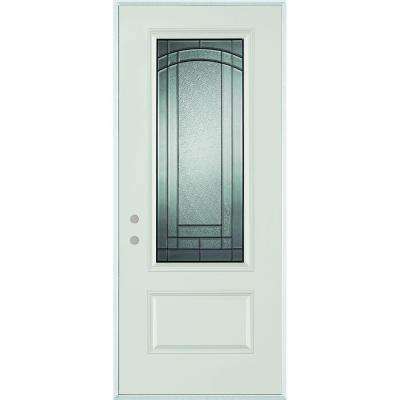 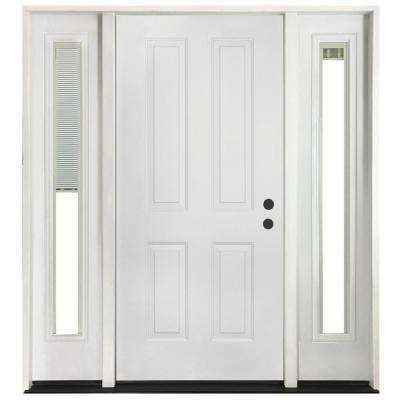 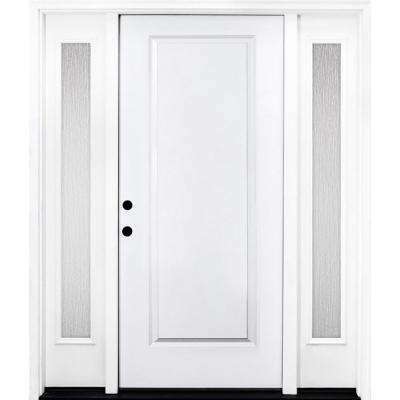 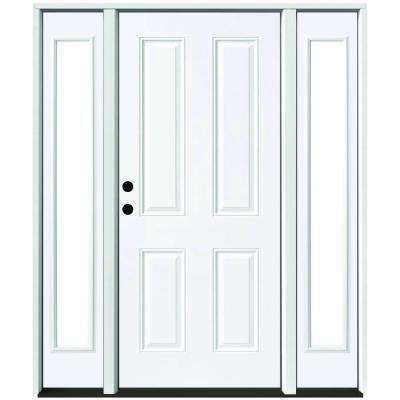 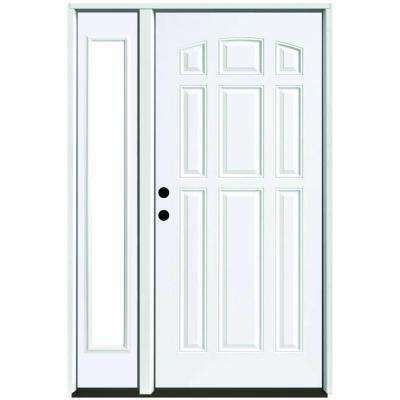 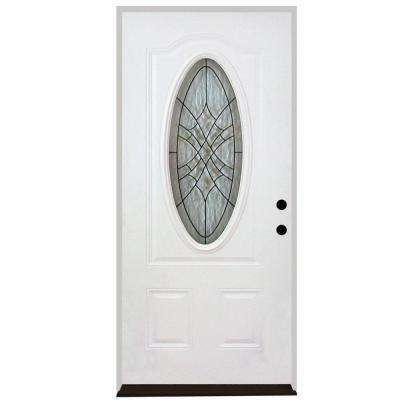 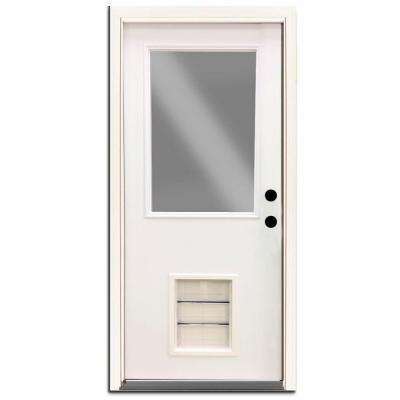 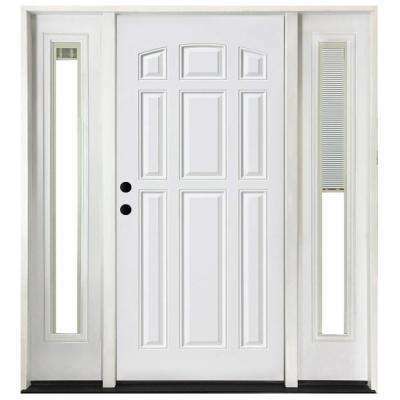 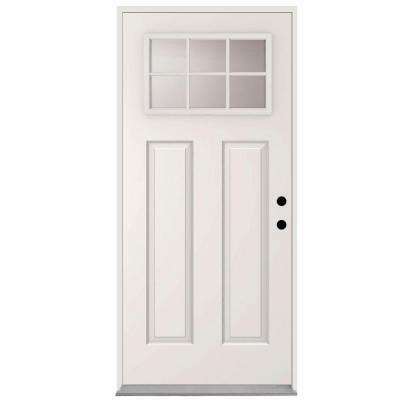 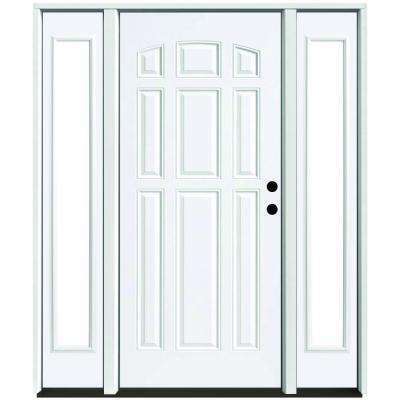 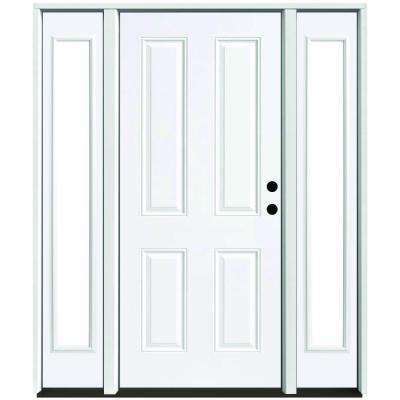 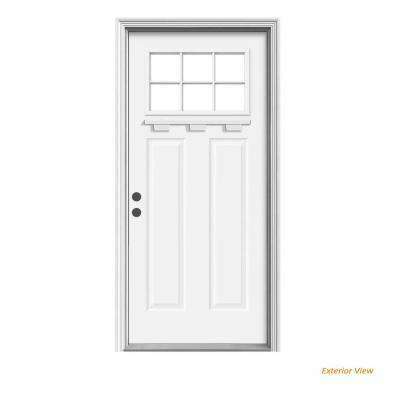 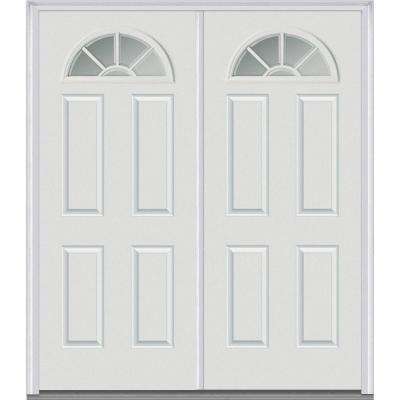 6 Lite Craftsman White Painted Steel Prehung Right-Hand Inswing Door w/Brickmould and Shelf"